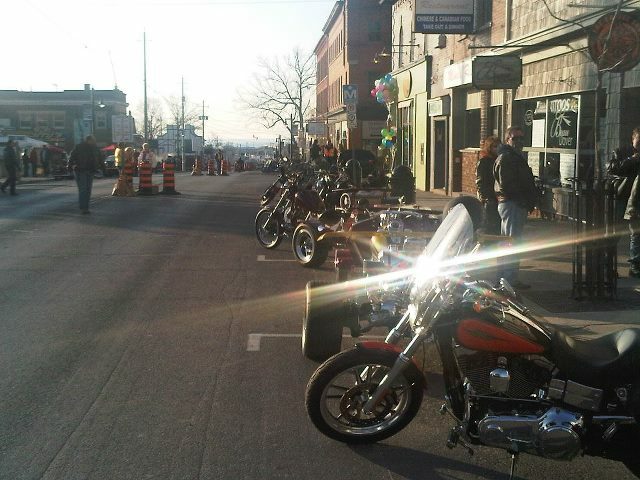 Each Friday the 13th thousands of motorcycles rumble through the streets of Port Dover, Ontario. Mainly cruisers, lots of custom bikes, HD, Japanese, they are all there. Many stop by Kelly's for gloves, a new helmet, rain gear or parts. ...Will flesh out this post a little later.